Jim is a Professor in the Department of Soil Science and Vice-Provost Faculty Relations. Jim's research program investigates aspects of the plant microbiome, with a specific focus on the root microbiome and microorganisms living around, in and in symbiosis with plants. The long-term objective of my research is to understand how interactions between components of the microbiome and host plant influence plant health, nutrient cycling and ecosystem sustainability. 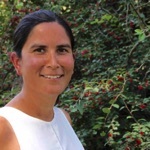 Kari is an Associate Professor in the School of Environmental Sciences and a Canada Research Chair in Environmental Microbiology of Agro-ecosystems. Kari's research program seeks to understand the relationship between genetic diversity of soil microbial communities and soil ecosystem functioning, and explore the link between above-ground and below-ground biodiversity. Rich is an Associate Professor in the Department of Soil Science and Ministry of Agriculture Strategic Research Chair in Soils and Environment. He is also co-director of the Prairie Environmental Agronomy Research Laboratory (PEARL), which takes an inter-disciplinary approach to applied and fundamental research focusing on biological aspects of the soil/water/plant/atmosphere continuum. 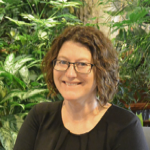 Bobbi is a soil microbial ecologist with Agriculture and Agri-Food Canada and an Adjunct Professor and Visiting Scholar in the Department of Soil Science at the University of Saskatchewan. Her work uses leading edge techniques to query why and how soils perform critical biological functions, integrating soil biogeochemistry, microbiology and ecology to advance our understanding of the impacts of agricultural management and climate on soil health, environmental performance and agroecosystem productivity. Diane is a Professor and Saskatchewan Ministry of Agriculture Strategic Research Chair in Soil Biological Processes. Diane's research utilizes 15N and 13C natural abundance and labeling techniques to investigate biological nitrogen fixation and nitrogen movement, turnover, availability and efficiency of use by crops in rotation. Her research has an additional focus on the selection and delivery of rhizobial strains for legume species new to Saskatchewan agriculture. Ken is a Professor in the Department of Soil Science and Director of the Centre for Northern Agroforestry and Afforestation. Ken's research specialization is forest soils. Ken's research includes agroforestry and biomass energy systems and their impacts on soils as well as understanding root dynamics in boreal ecosystems. Fran is the Associate Dean (Academic) in the College of Agriculture and Bioresources, and a Professor in the Department of Soil Science. 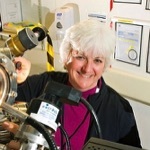 She maintains an active research program in the area of soil nitrogen dynamics and pulse crop agronomy - including the use of synchrotron-based techniques (XANES) to elucidate the nature of the various soil N pools. Chris is a Professor in the Biology Department and a Tier II Canada Research Chair in Microbes, The Environment and Food Safety. His research is focused on plant-bacteria interactions in agricultural sysrems, including the characterization of genetic networks involved in the cell envelope development in Rhizobium and genetic networks involved in rhizosphere colonization. 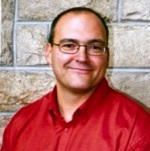 Chris is President of the Canadian Society of Microbiology. 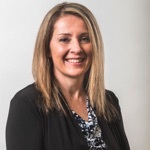 Lori is a is a microbial ecologist with Agriculture and AgriFood Canada, based in Harrow, Ontario. Her current research seeks to answer ‘who’s doing what where?’ questions related to microbe-soil-plant interactions, at scales ranging from the plant to the ecosystem. The overall goal of her research is to determine how to manage or manipulate these interactions to enhance nutrient cycling, agro-ecosystem productivity and resilience, and healthy ecosystem functioning. 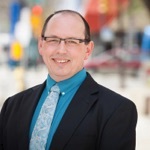 Brad is the Director of International Sales and Tradeshow Development with Tourism Saskatoon. Louise is a soil microbiologist with research interests in plant-microbe interactions, plant growth-promoting rhizobacteria, biological control of plant fungal pathogens and nitrogen cycling in soil microbial populations. My current research addresses the effects of agricultural management practices on GHG emissions and nitrogen cycling, microbial populations in woody perennial horticultural systems, the use of selected soil bacteria to control postharvest fungal pathogens of stored pome fruit. Melissa is an Assistant Professor in the Department of Soil Science. Her research focuses on investigating how root form affects soil biogeochemical function and the ultimate fate of root-derived inputs within and through soils in agricultural and natural ecosystems. She takes a plant trait-based approach to identify the mechanisms by which roots interact with the soil environment to influence plant productivity and the cycling of nitrogen and carbon and formation of soil organic matter. 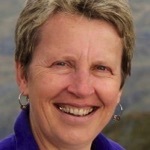 Sue is a Professor in the Faculty of Land and Food Systems and a Canada Research Chair in Soil Microbial Ecology. Sue is a member of the UBC Belowground Ecosystems Group and her research focus is on microbial diversity and function in soils including plant-microbe interactions, rhizodeposition, climate change and soil C sequestration, and the relationship between soil community structure and function and greenhouse gas emissions. 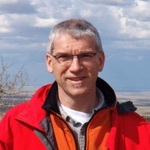 Steve is a Professor in the Department of Soil Science and NSERC/FCL Industrial Research Chair in In Situ Remediation and Risk Assessment. 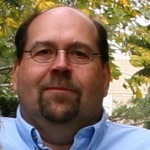 Steve is also Director of the CREATE Human and Ecological Risk Assessment Program. Steve's research focuses on how human activities impact ecosystems and how those ecosystems impact humanhealth.